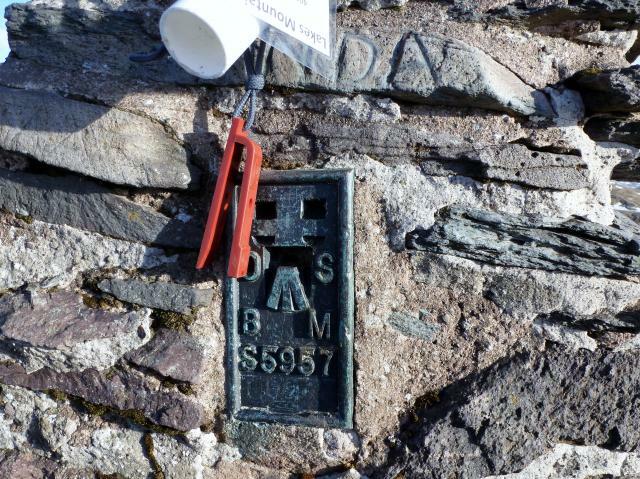 There are 93 photos for this trigpoint (view album). 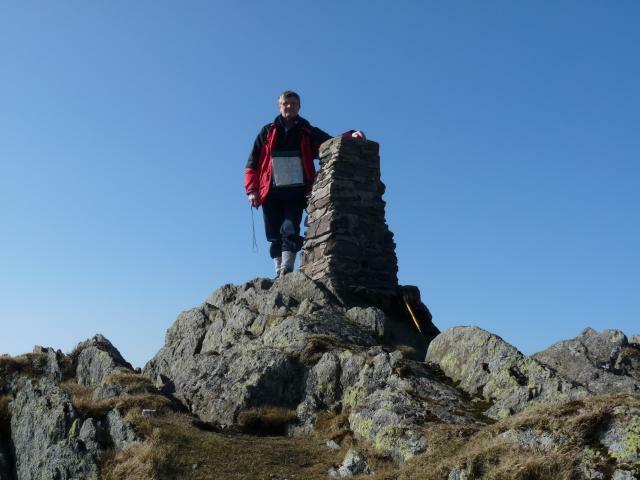 Is ranked joint 226th with 23 other trigs (more). Parked at Deepdale Bridge in spaces by the red phone kiosk, good paths to Boredale Hause and upwards to summit. 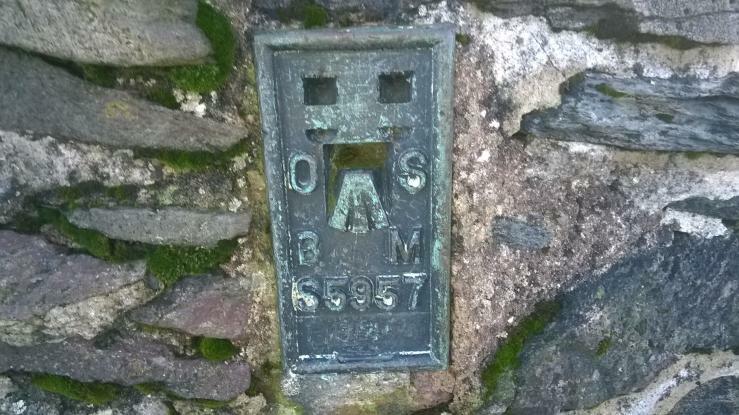 Pillar in good nick, spider stamped JLC SEC and has no cap/plug, one sight hole open. Saw a herd of deer just NE of trig to cap things off. Excellent views all round on a fine day. Parked at Patterdale, up past Boredale House and back on yourself. Sleet in valley soon turned to snow. Peaceful up there this morning. 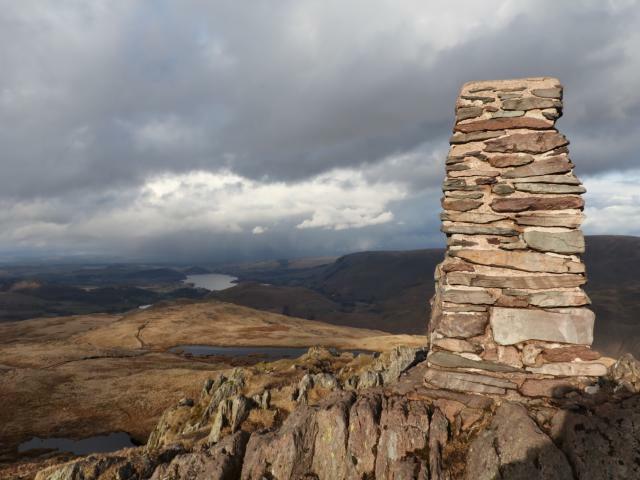 Walked up from Sandwick and continued on round Boredale to Angletarn Pikes and Beda Fell, with Hallin Fell for afters. 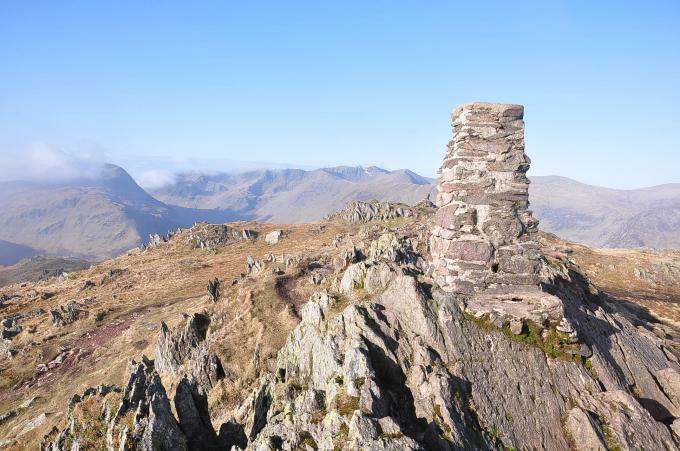 Glorious clear sunny day with great views across to Helvellyn and to the High Street ridge. 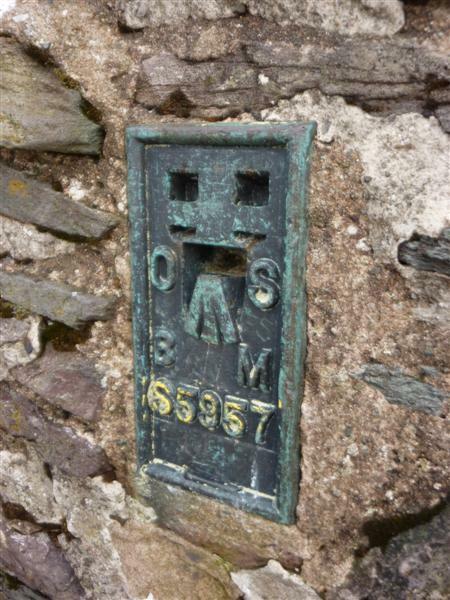 Stone-built , spider centre open , no cap or plug . 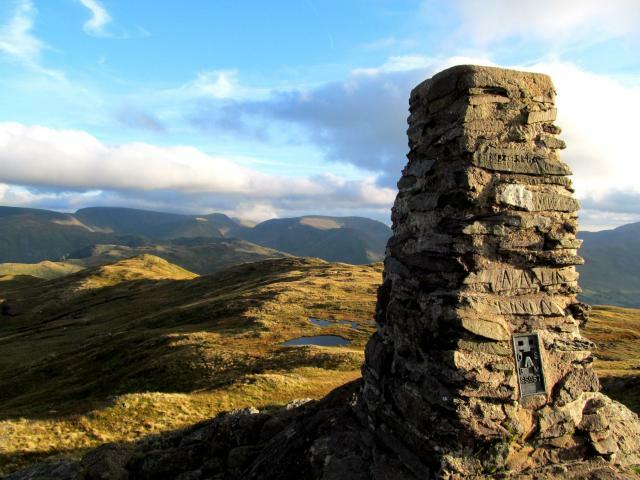 The beautiful view to Helvellyn! 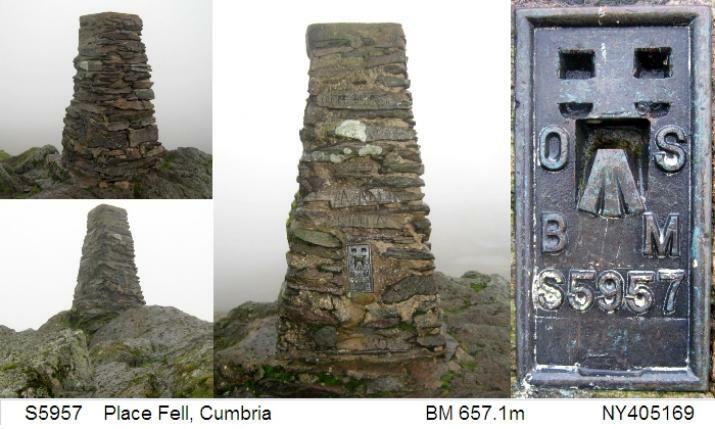 Last minute revisit with Phil back from his travels as a newly qualified ML.Stormy day on top decided to say fairly low today as many lakes giants were under cloud all day.Very windy at the trig lucky with views as the clag just cleared on our arrival did a circuit of the fell from the free parking at Bridgend,taking in the birkett tops a round of about 16 km. 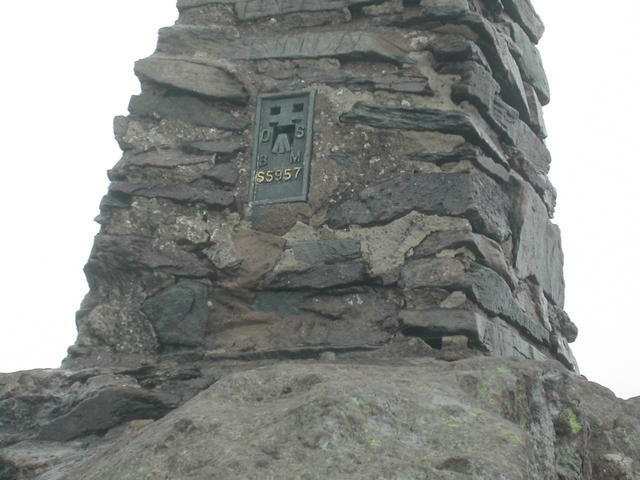 Visited during Lakes Mountain 42. 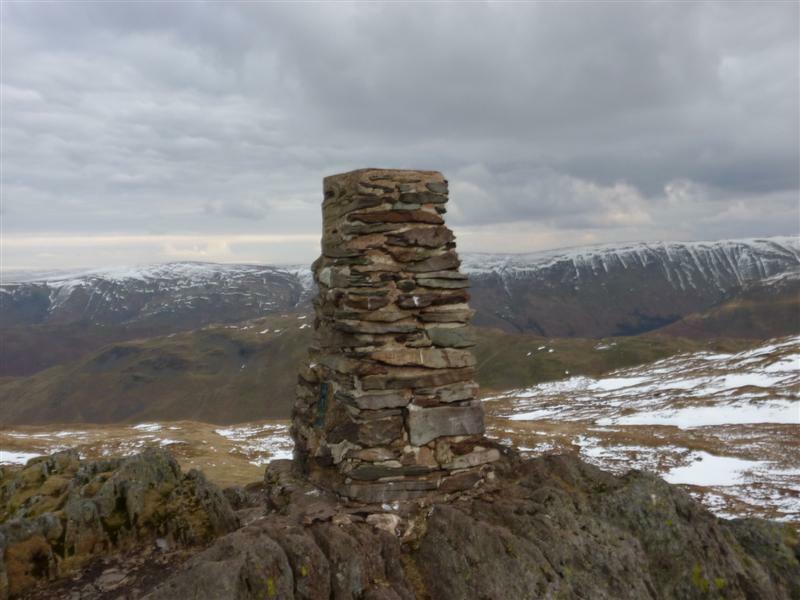 Ran up from Patterdale via Boredale Hause. Shared our day with storm Katie, not the greatest of weather and all soaked through by the end! 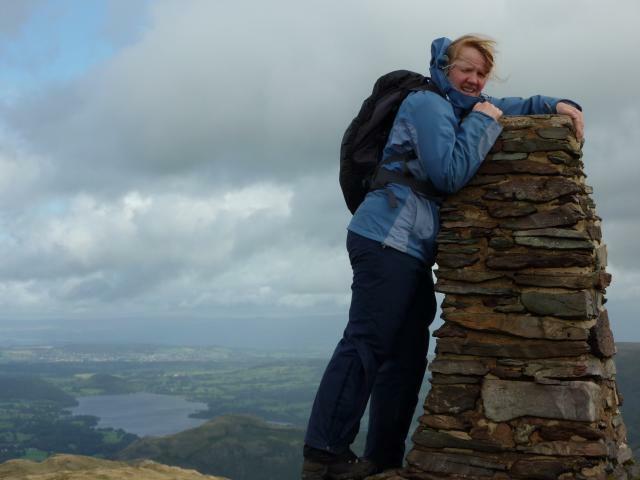 No view sadly and very very windy ;-/ Should be renamed Sharen fell as I tripped and sprained my ankle on the way down as it was so slippy, Mr TJR had to practically carry me down the hill and it took ages! 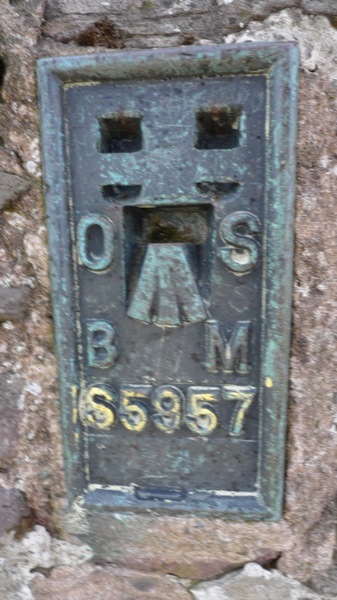 Above date is most recent of five visits, the first being on 13/04/1981. A magical mountain. 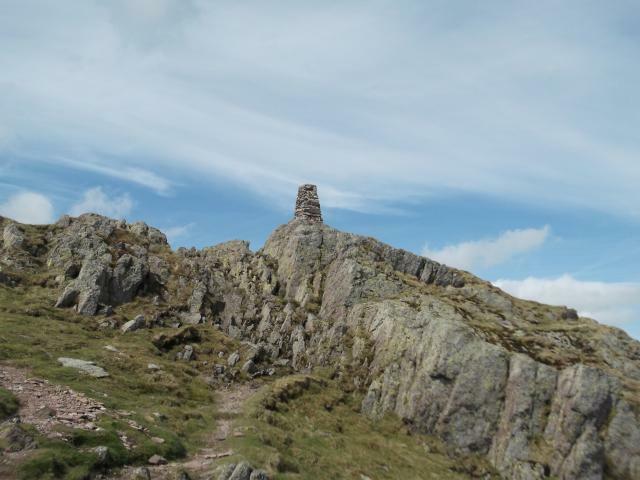 This time walked up from Cow Bridge. Saw a red squirrel running along a wall on way up to Boredale Hause. 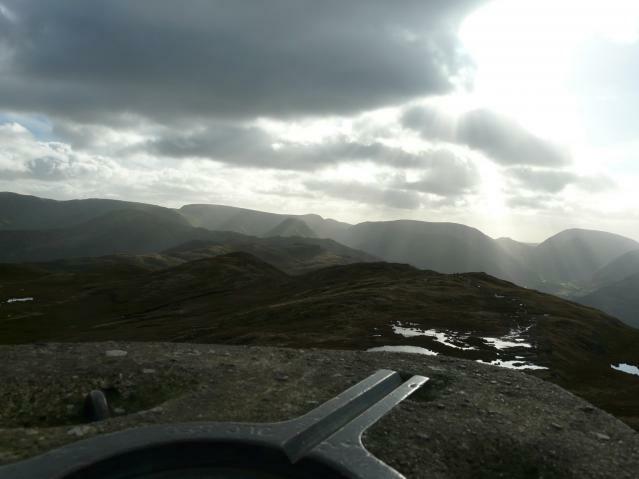 Walked round most of Place Fell on about 450m contour. 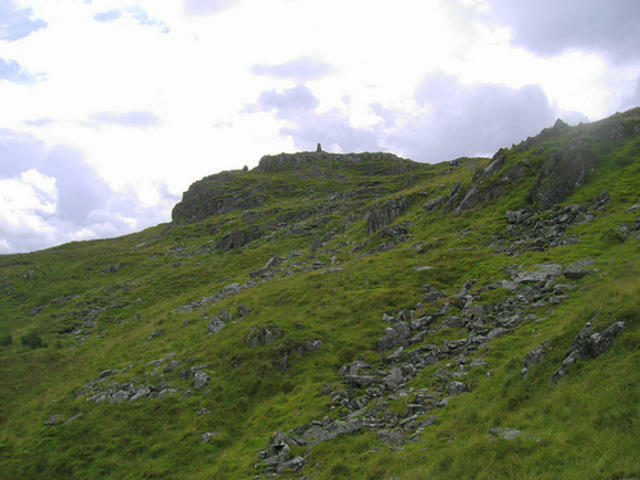 Saw a herd of c.15 deer on crag above Boredale Head. 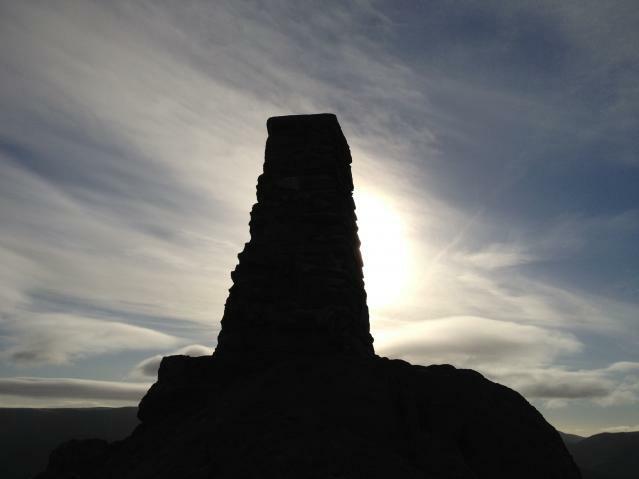 Deserted contour walking and popped up around Hare Shaw and walked up to pillar. must be 30 years since I was last up here. very busy today. 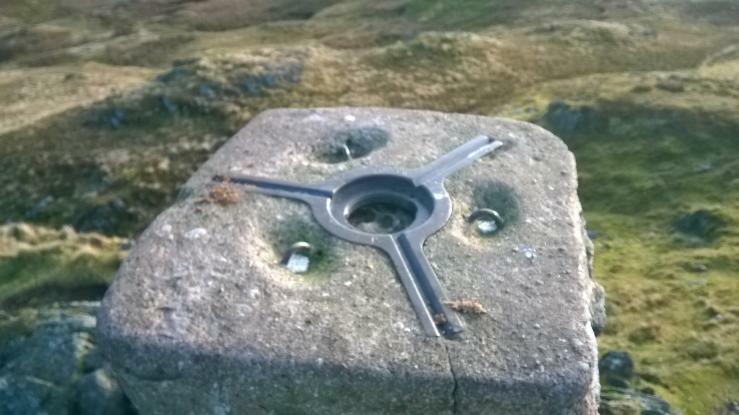 trig on rocky summit in good condition, no plug but filled with summat! 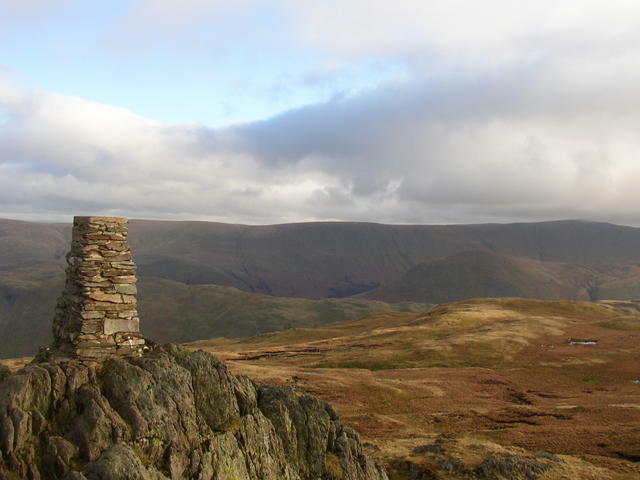 great views of Helvelyn and surroundings. 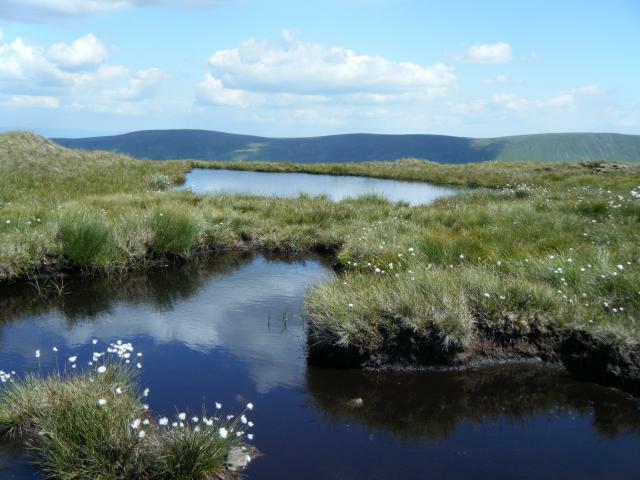 Pleasant circular walk from Sandwick. 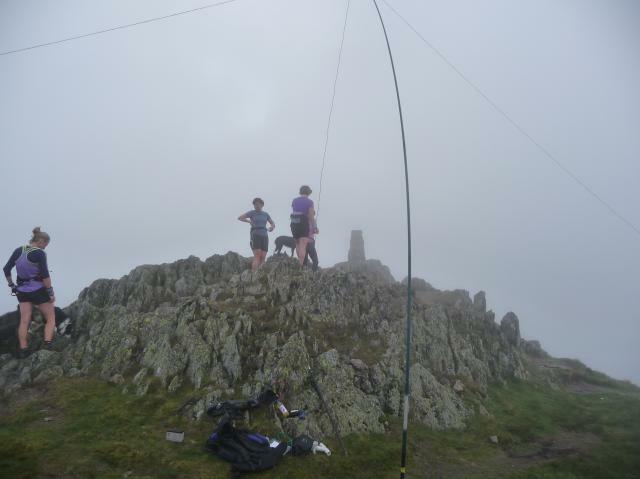 First trig bagged with the now wife! 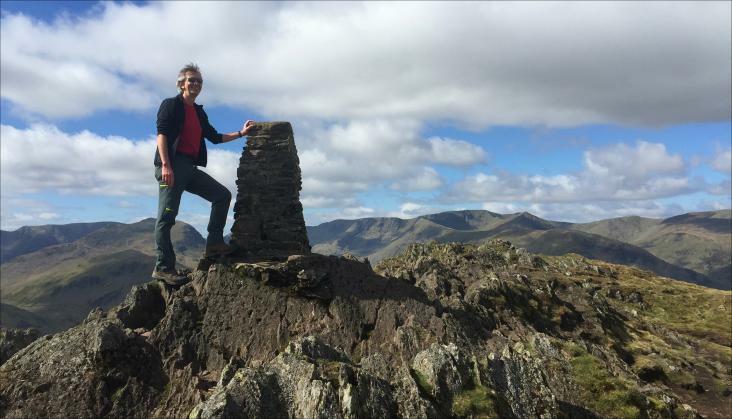 Walked up from The George Starkey Hut in Patterdale,then visited The Inn On The Lake's Ramblers Bar for a pint of Thatchers Gold Cider. 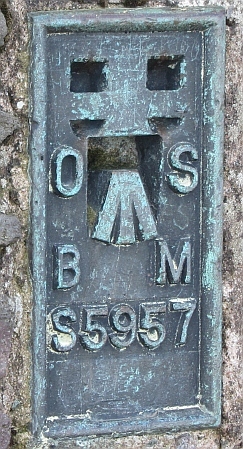 A smashing trig point from Doe Green. 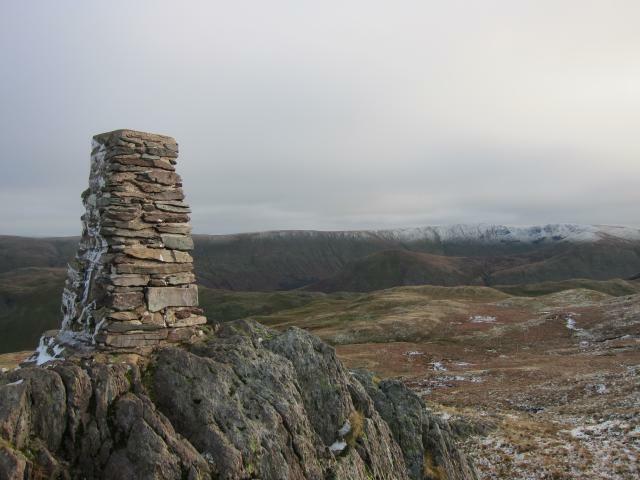 Great views across to the Helvellyn range. 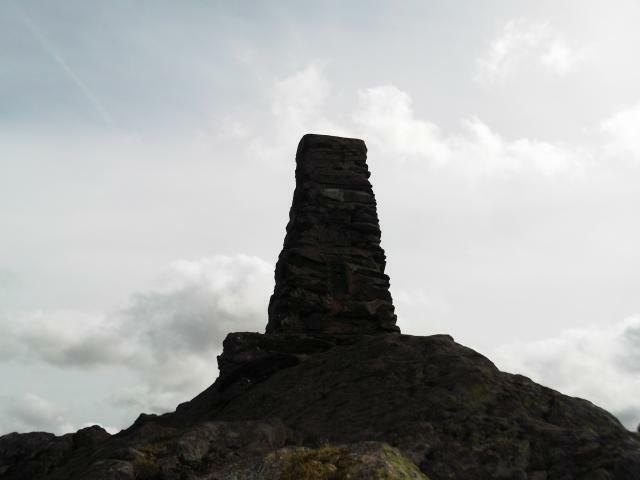 This stone built trig is perched on a rocky outcrop. 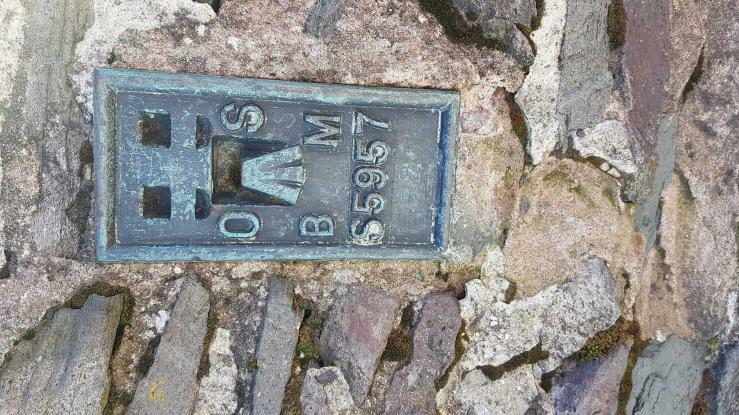 Plenty of people out and about walking this route. 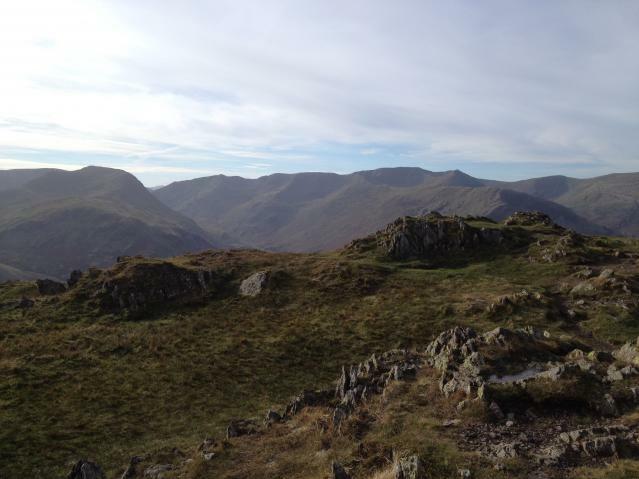 Parked in Patterdale and walked up via Rooking, Boredale Hause and Round How. Great walk, legs a bit tired. Very windy but great views. Got there just in time for some decent views of the surrounding snow covered peaks. Shortly afterwards the mist rolled in for the day. 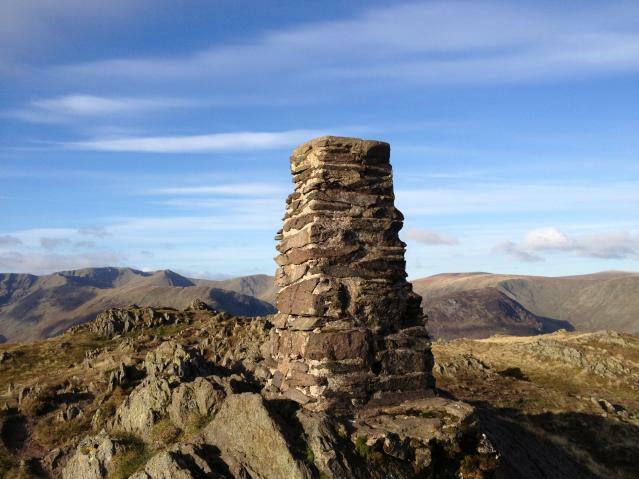 Parked at old church in Martindale today's round included Beda fell,Heck crag,Angle tarn pikes and Place fell. 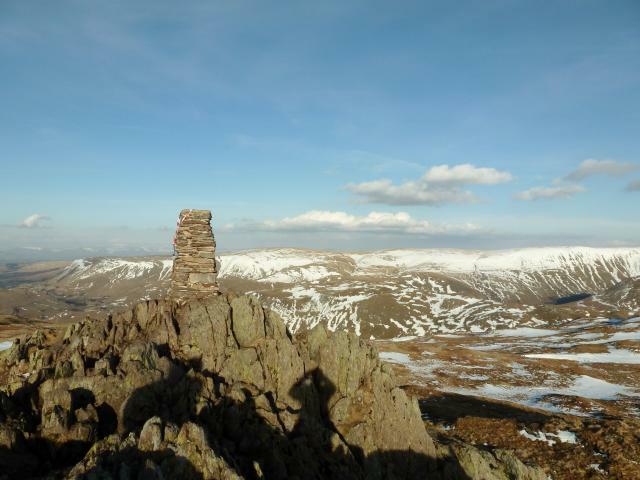 today sunny with no or very little wind visibility excellent fells looking magnificent holding lots of snow still.Trig in good nick plug missing orienteering punch marker attached to top real rough craggy summit cannot get much better than this. 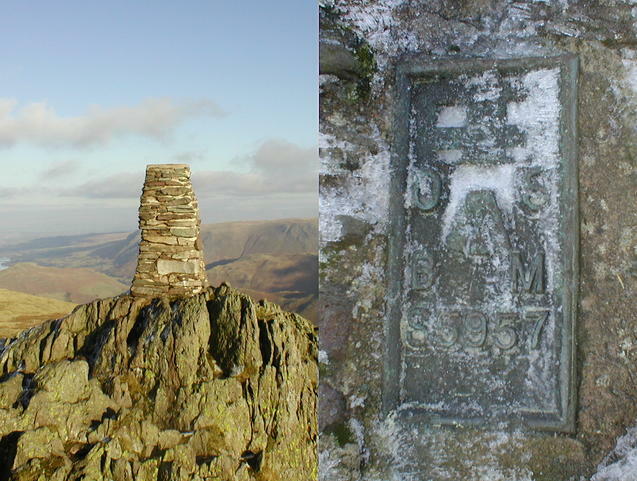 plastered in ice and haw frost but a welcome site - tomorrow all being well i would complete my wainwrights in one year challenge. a fine stone built pillar. 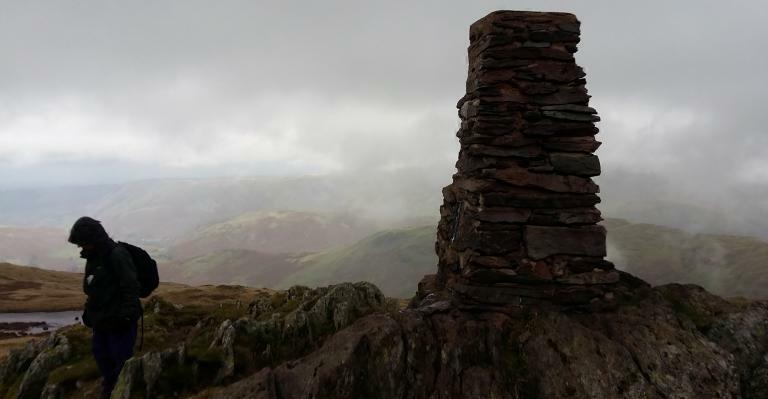 Old Man thought we were mad leaving Patterdale in cloud and hailstones, but optimism paid off as it all cleared just as we reached trig to reveal superb all-round views. Very cold so legged it pretty quickly to Sleet Fell and off end of ridge to Sandwick, then back along lakeshore in sunshine and wonderful autumn colours. 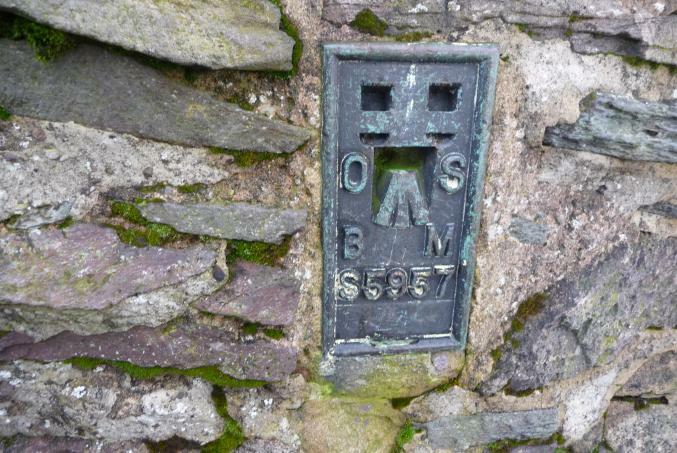 Stone built; spider stamped JLC SEC (as Muncaster Fell but VC was clearly absent on this occasion! ); no cap or plug and centre tube filled with concrete; NE s/hole open; otherwise vgc. 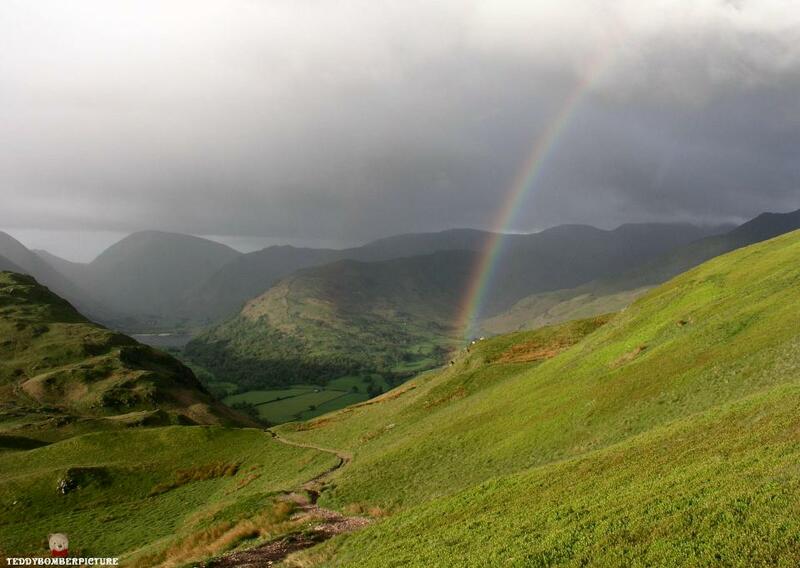 Revisit on walk from Howtown to Patterdale on a damp day. Views not particularly good today. There seems to be a policy of commercial greed on the part of the local hotels and businesses in Patterdale regarding parking. Having apparently purchased adjacent spare land, day visitors are charged �4 or �4.50 to park, and face a charge of �75 to unclamp their vehicle if they do not comply. For folk refusing to succumb to such unwelcoming protection rackets, there is free parking in and around Patterdale for those prepared to seek it out. Followed RoW out of village via NY395161 to Side Farm. 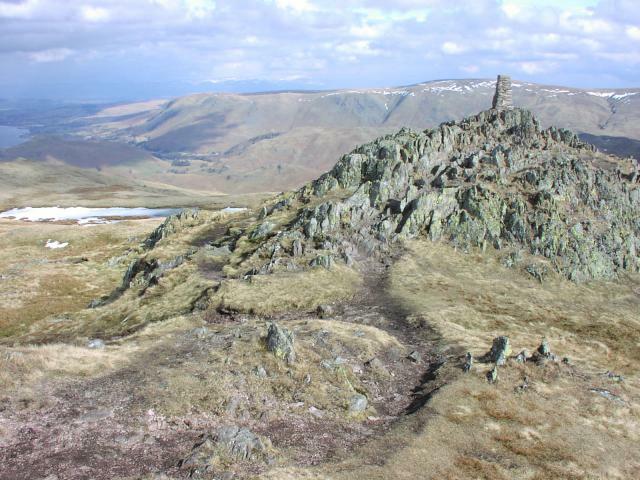 Routes up Place Fell are clearly mapped, approached summit from south. Stonebuilt secondary station pillar in good condition. Completed in April 1950 costing �33.17s.9d. Spider centre open but hole filled with concrete. 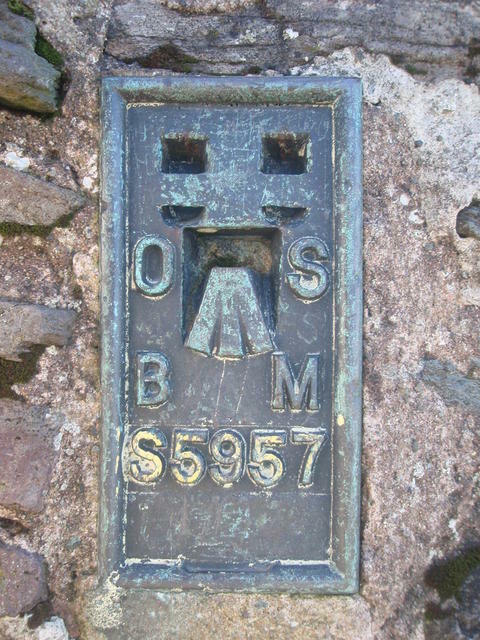 Flush bracket faces 338� (NNW). Vented through NE sight hole. 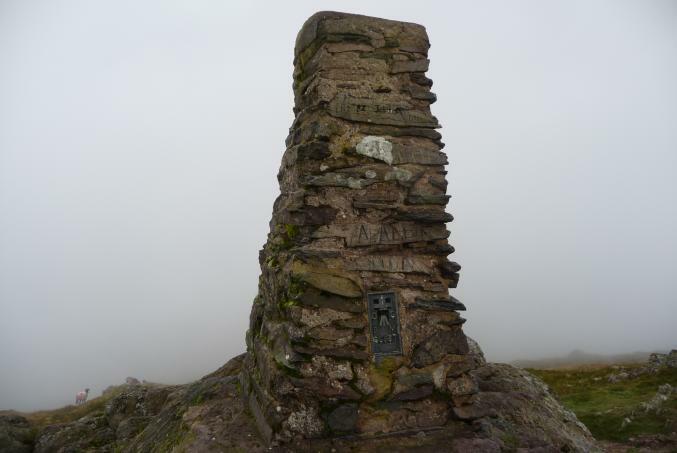 360� panorama lost to low cloud and drizzle on day of visit. Met the Littlewoods on the way up here, by chance. 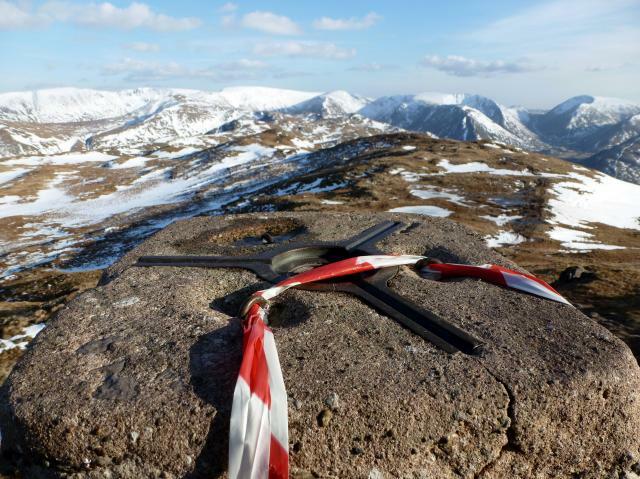 Anybody who is anybody in trigging / hillwalking / climbing circles knows Sue & Trevor. 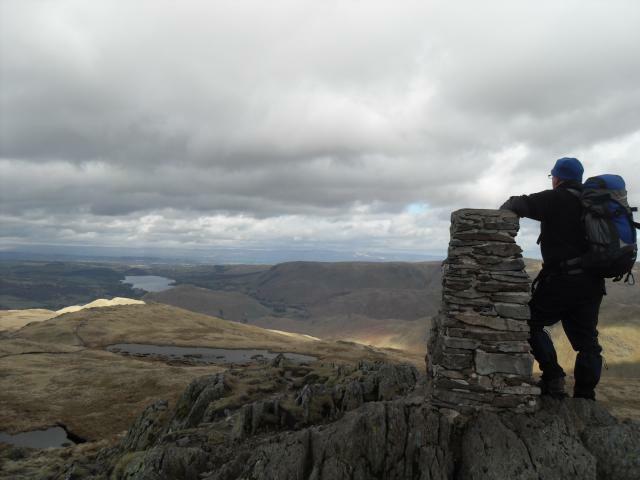 Did this on a wainwright walk including angletarn pikes. Excellent weather. 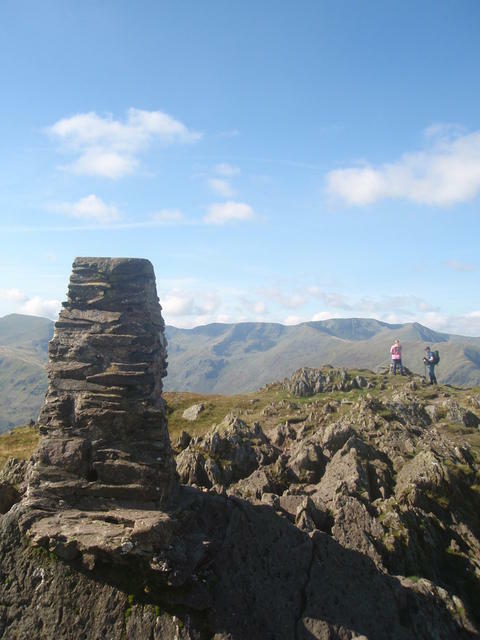 Up from Patterdale via Boredale Hause. 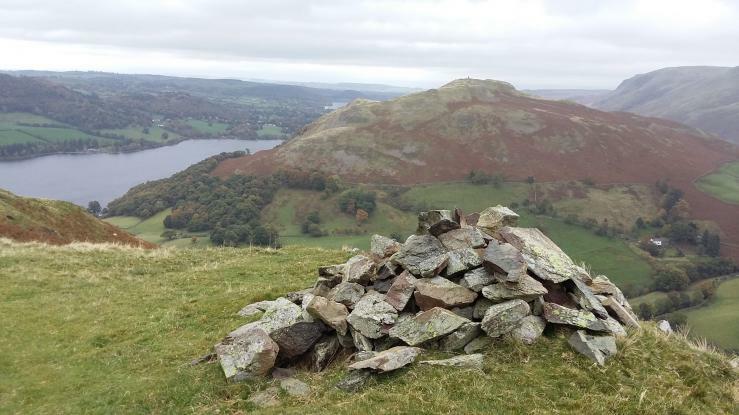 Return via High Dodd, Sandwick and along the side of Ullswater. Revisited on 4/6/12, 18/5/15, 30/5/16. 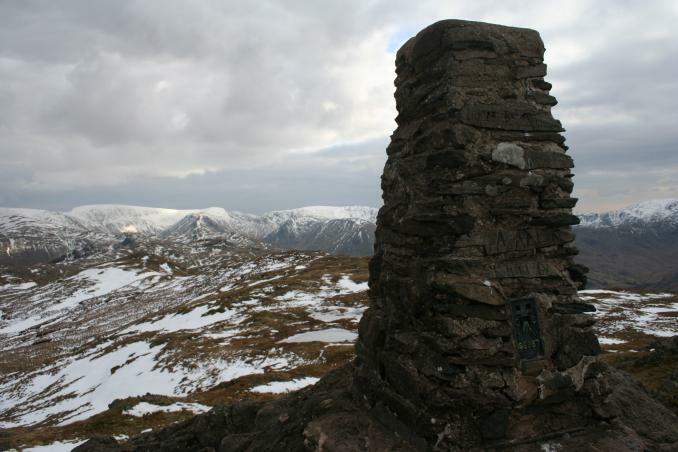 Best trig logged to date nice walk up from Patterdale.Great views all way round. 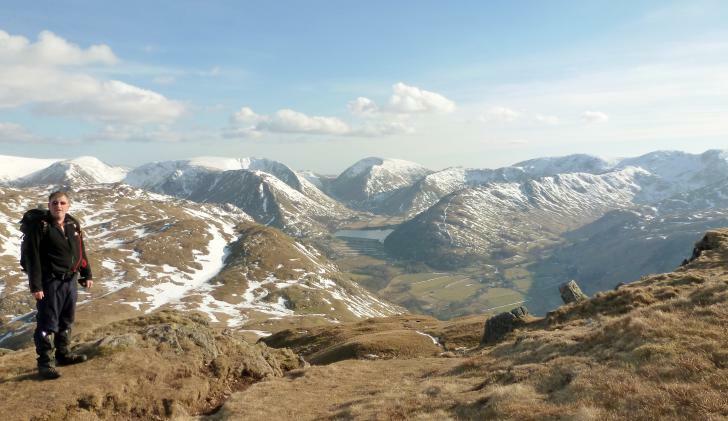 Walked up from Patterdale. Great Views, plug missing. They don't come much better except for the missing plug. 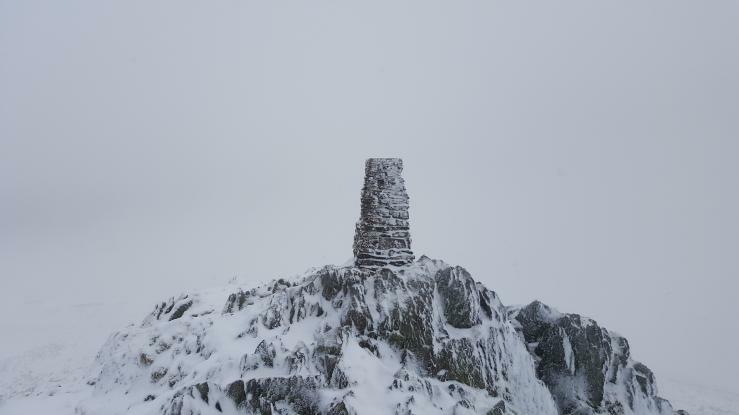 Another great Lakes trig. 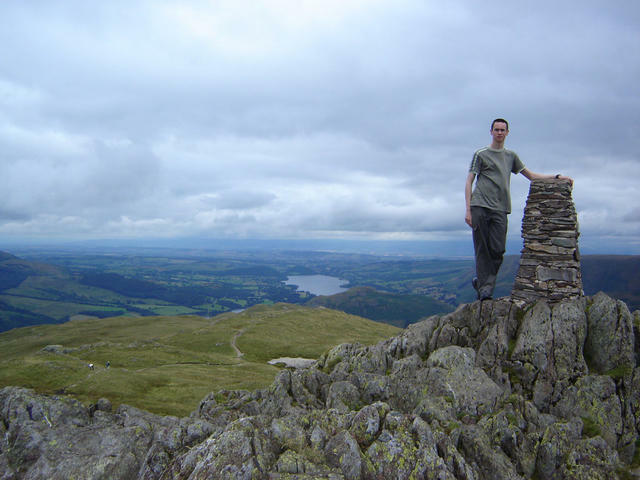 Stayed at Patterdale YHA the night before and walked up from there. The crowds dissapated after I left the coast to coast path. 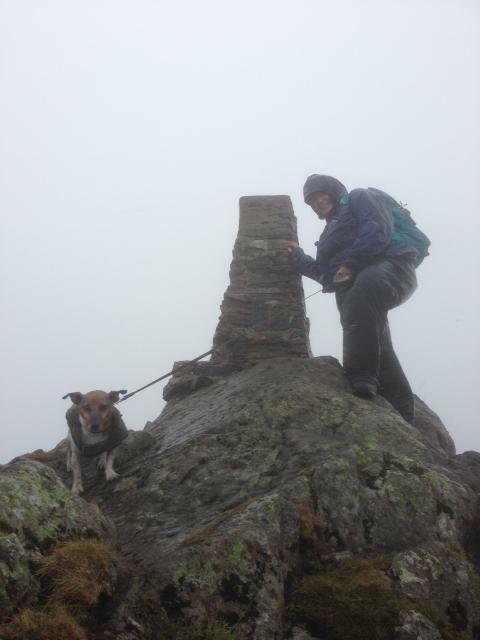 Met a couple with their 18 month collie Bryn on top. Walked on to take in 4 Birketts but bottled out of the last one as the heat was overpowering and there was no breeze. 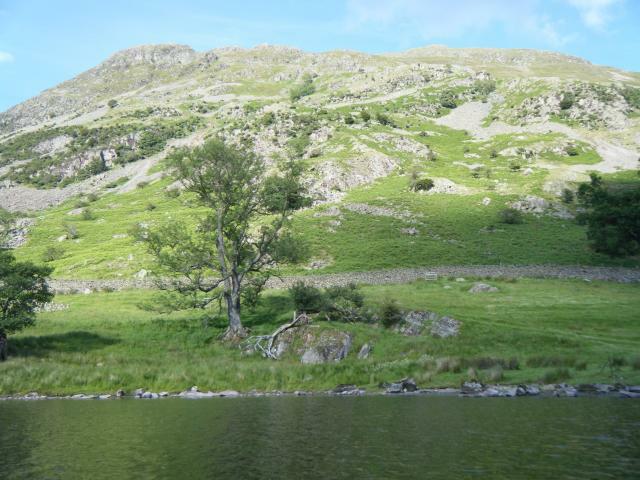 Dropped down to the Ullswater path and cooled off by dipping my feet in the lake. 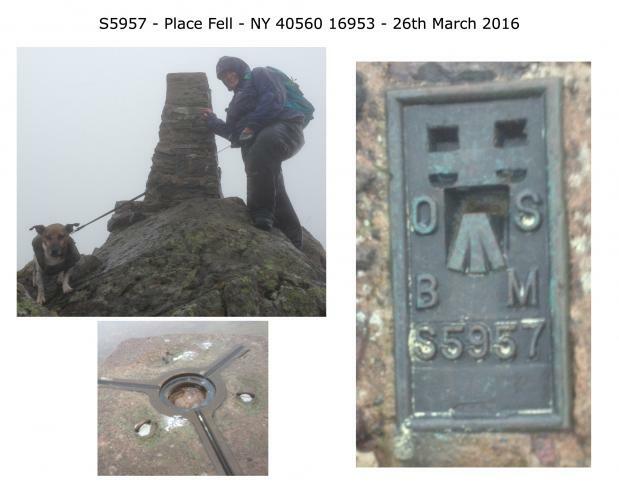 Fairly stiff pull to top 60 mph wind, plug missing trig on rocky knoll, great wiews especialy helvellyn. With Pete37038 who has a lot to answer for after genning me about this website! Gnarly summit, top views, as good as it gets. 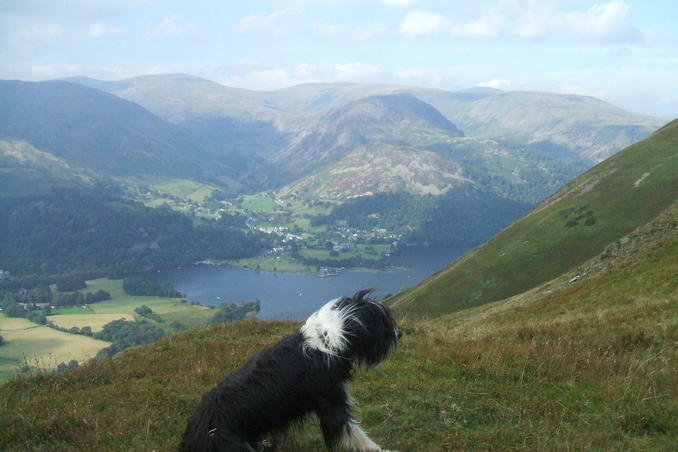 Walked up from Glenridding and then onto to Howtown, before catching the boat back. A lovely walk with fantastic views. Even time for my brother to get a pint and me the best value pot of tea at the hotel/public bar in Howtown before the boat left. Jon and me at the Trig The camera was held in place amongst the rocks with a Gorilla pod - brilliant device! 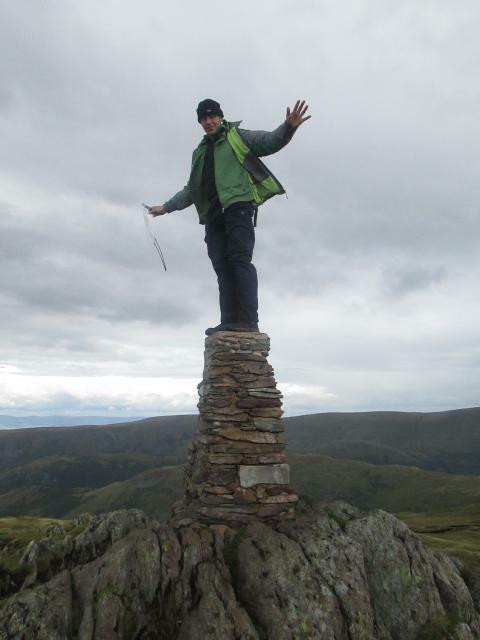 Wonderful position, great views - great trig point! 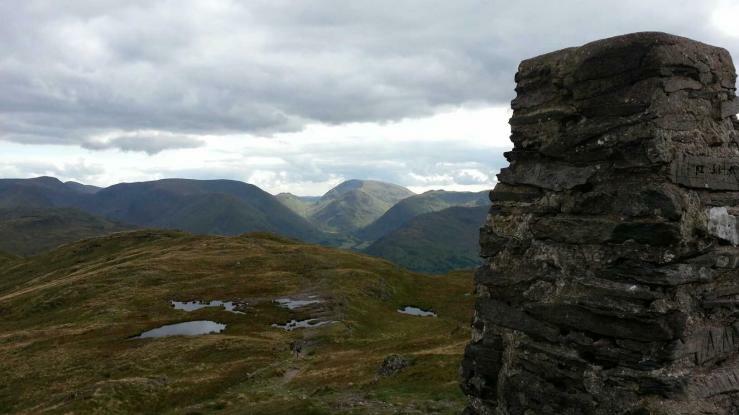 On a cloudy day from Howtown en route to Patterdale. 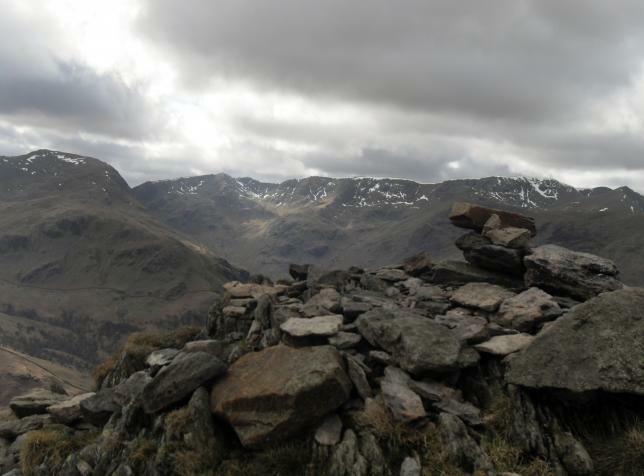 Walked up from Patterdale YHA on a moody but clear day. 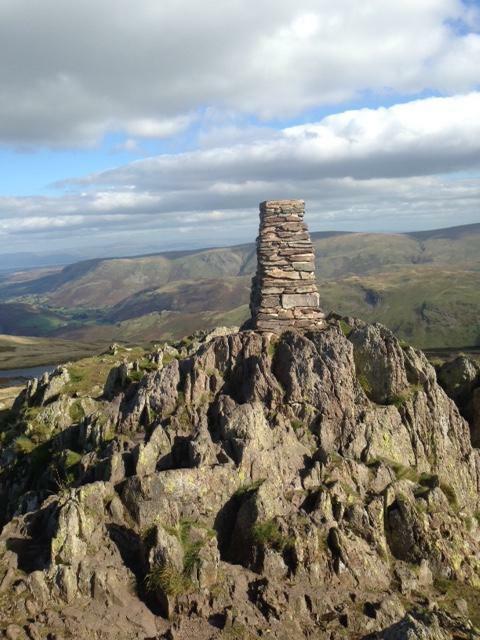 Not the best of the Wainwrights, but pretty good nonetheless. 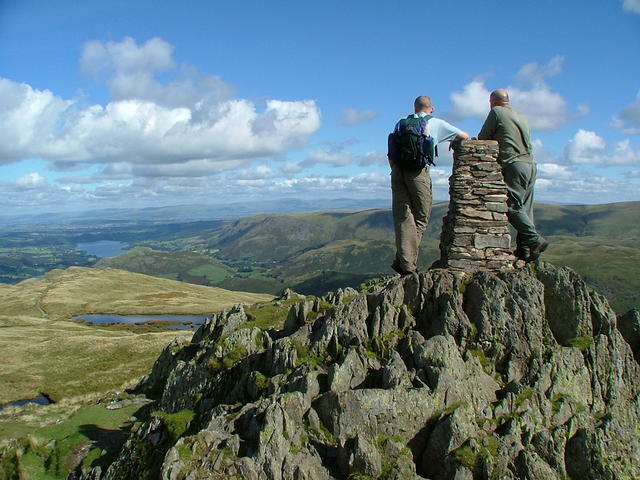 Located on a point giving super views of Ullswater, the Patterdale valley and west towards the Helvellyn range. 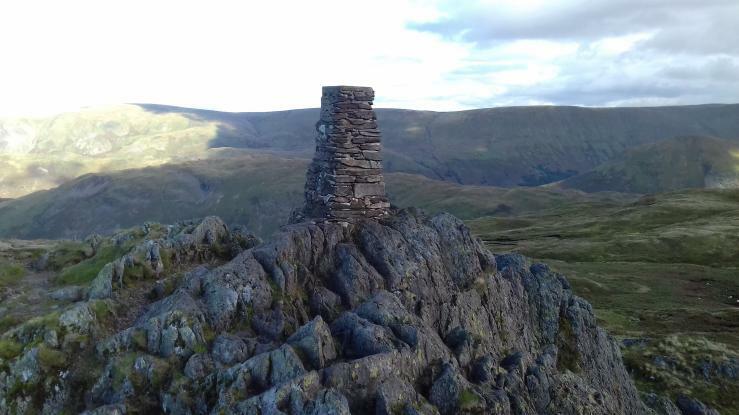 We ascended from Patterdale via Boredale Hause, crossed Boredale Beck at Garth Heads and returned to the Hause via Beda Fell, 9 miles of high winds and severe rain - nice! 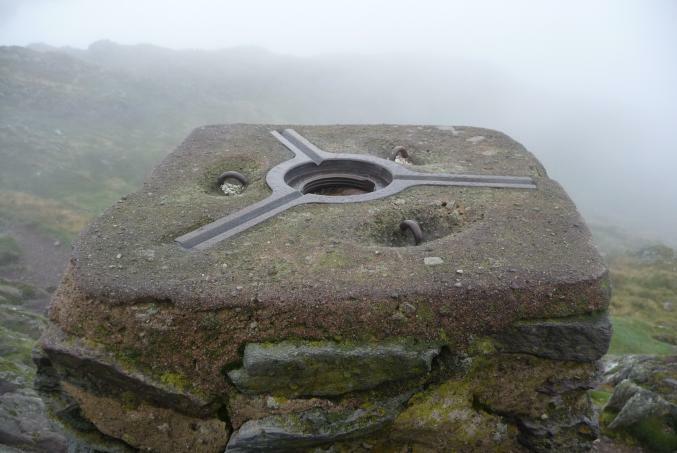 Trig is solidly built from local stone and looked in good condition considering the weather it must get. 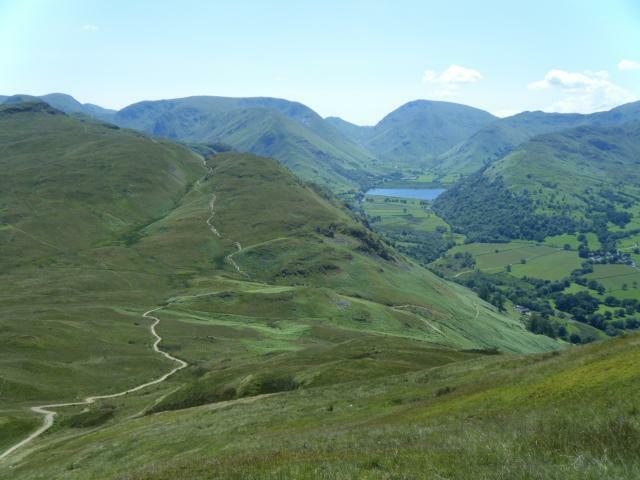 Ascended from Patterdale and returned along the superb Ullswater path from Sandwick. Good views today despite some pesky cloud. 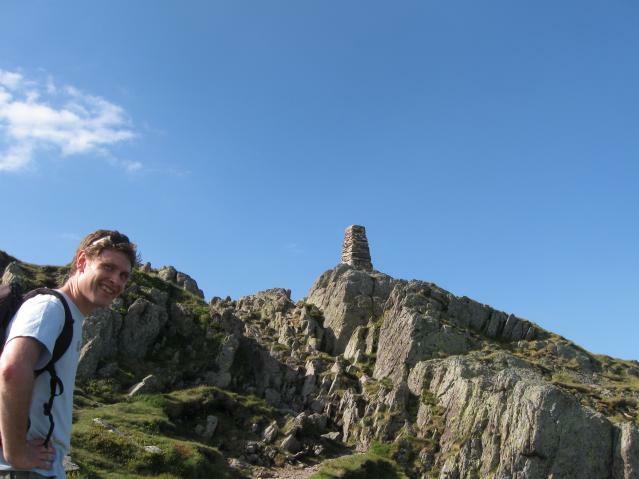 Trig on a wonderful little crag with a little scramble to the top. Great place. Beware the lakeside path back to Patterdale from Sandwick, it contains the biggest thorn bushes I have ever seen, to my hands cost! 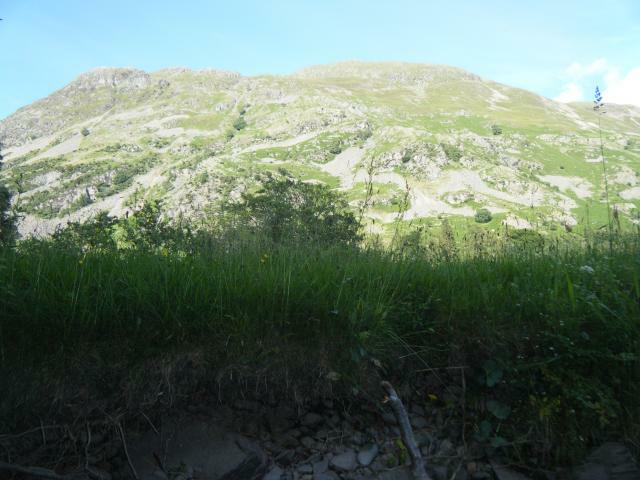 Climbed up from Patterdale on a lovely hot summers day. 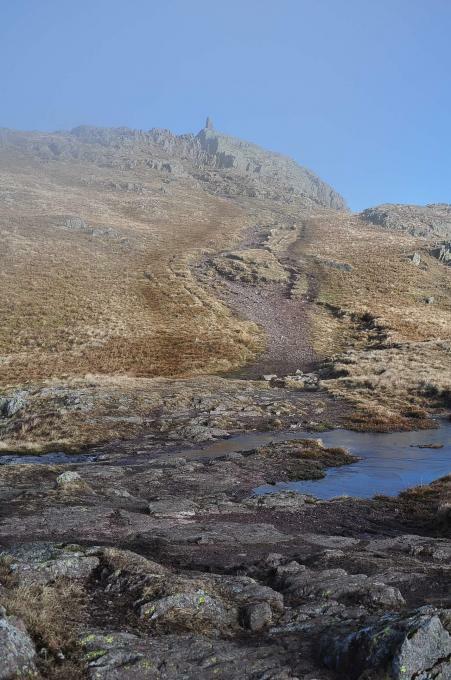 Bit of a slog up from boredale Hause to Round How as they were relaying the paths, and had left big sacks full of boulders in the way. 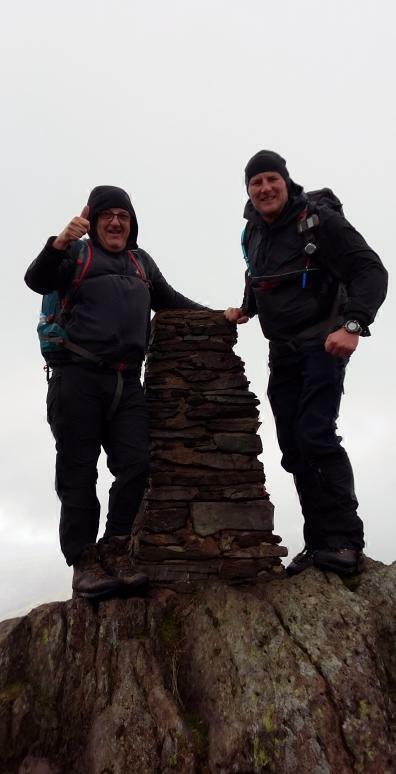 It was a tricky scramble over the rocky summit up to trig for me as I only have short legs, but still made it with a helping shove up the bottom from my dad! 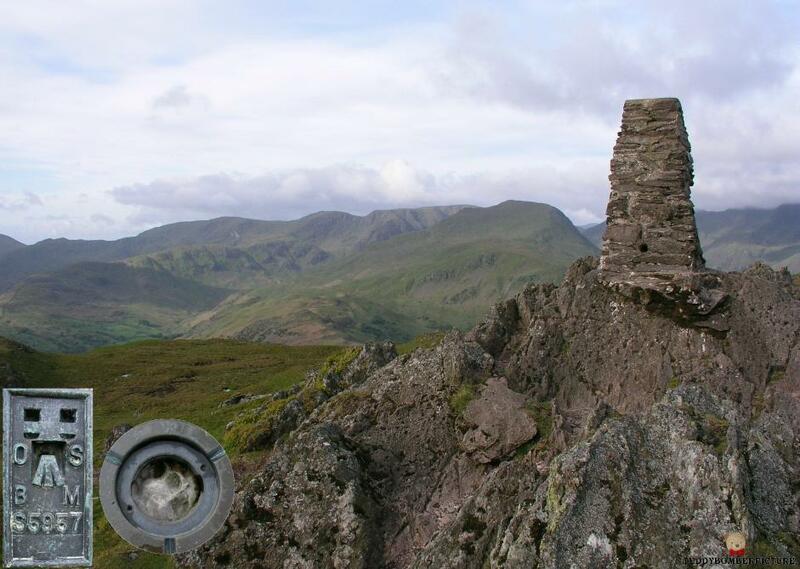 Climbed on a scortching July day, hazy views towards the Helvelyn range.Fantastic. Visited on a Wainrighting trip. 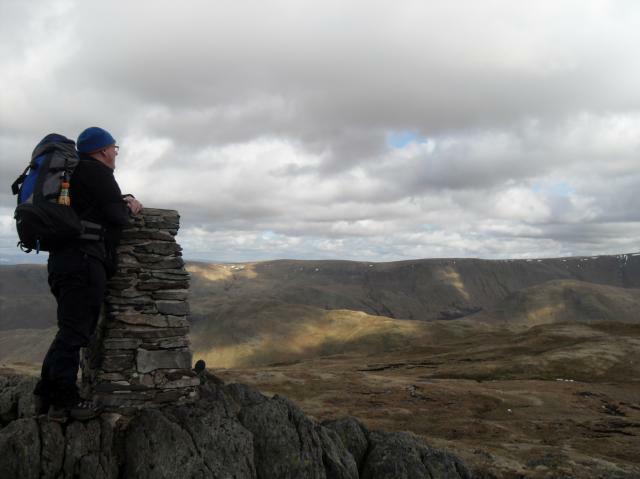 A fine walk up from Sandwick then along to Angle Tarn and down to Hartsop for a wander along Ullswater. 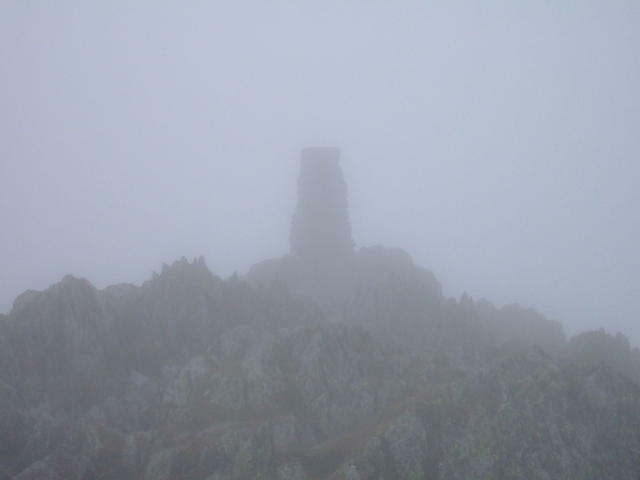 Sadly no views at the trig as visibility down to about 30 yards. 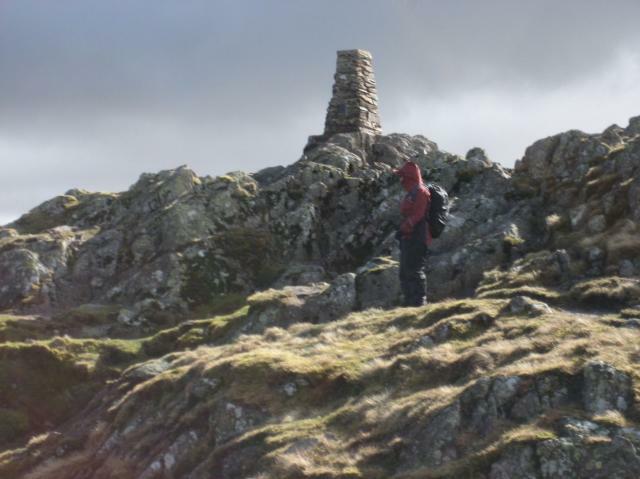 Trig stands on a razor back ridge, which was a bit slippery today - fine location for a fine trig. vgc, slender stonebuilt pillar. No cap: centre hole has been filled or closed with mortar, leaving screw thread clear. 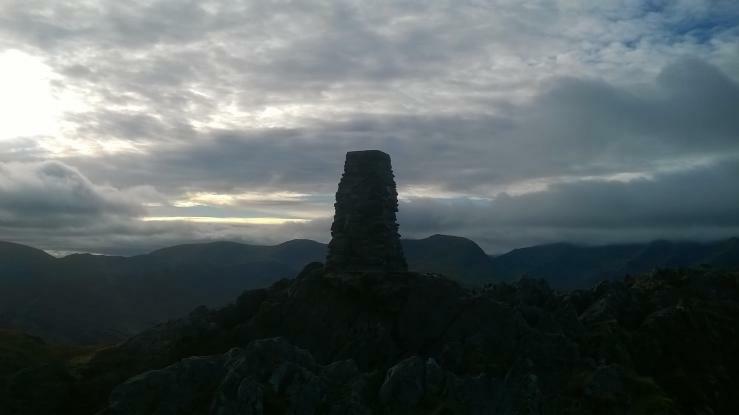 Fine rocky summit, great hill, lovely views, sunset was a bit of a washout - red glow. 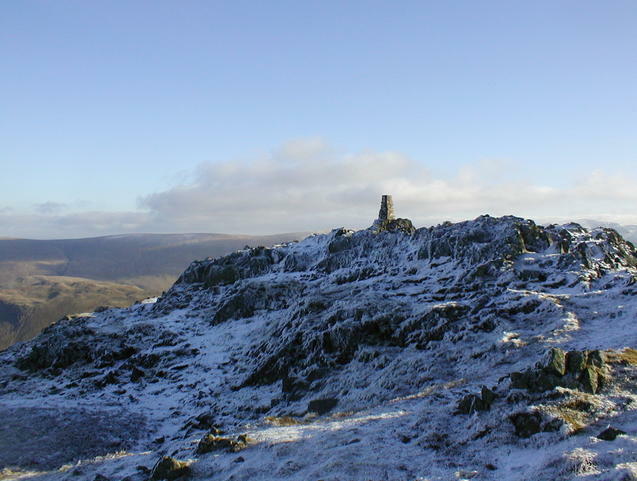 Up via Birk Fell (a possible new 500m summit I reckon). 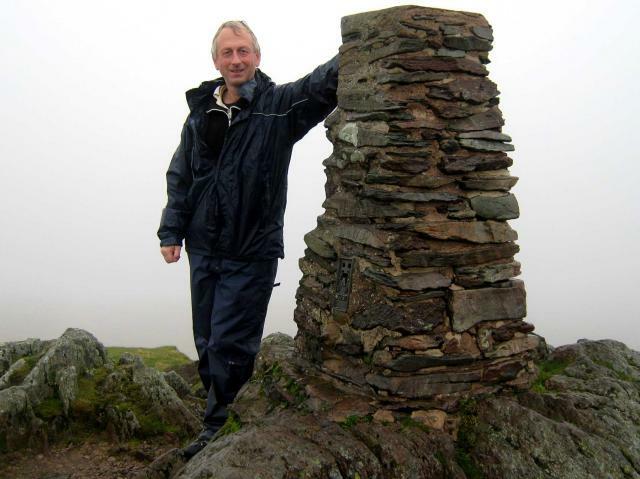 Easy rapid descent in time for the LDWA Hillwalkers Register annual dinner. 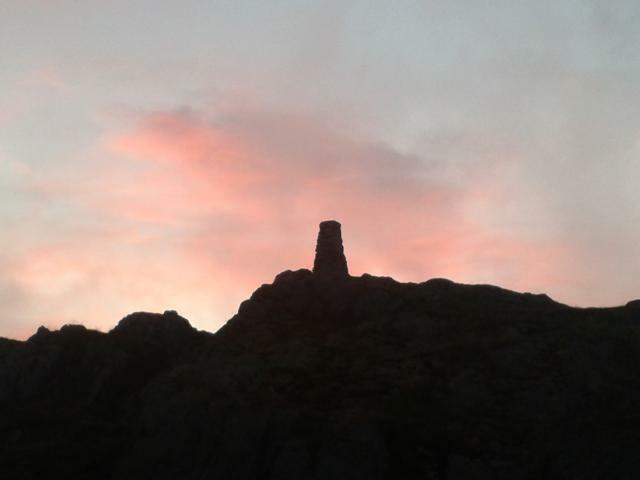 A handsome masonry pillar standing proud on an outcrop of rock. Views all round are extensive. 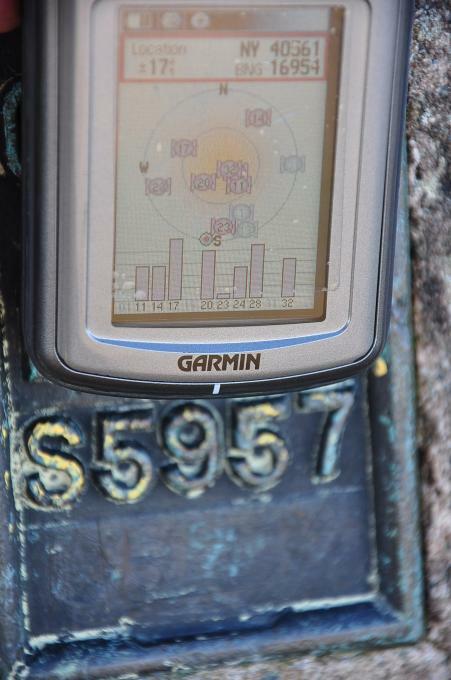 Today was a busy one with at least a dozen people at the summit when I arrived. 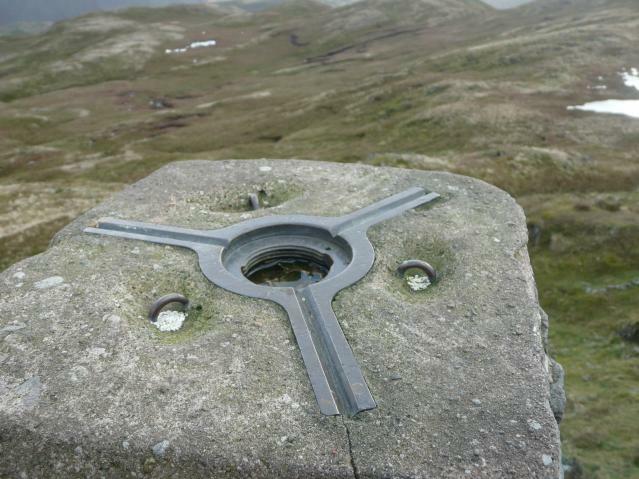 Great trig in great position on great mountain. 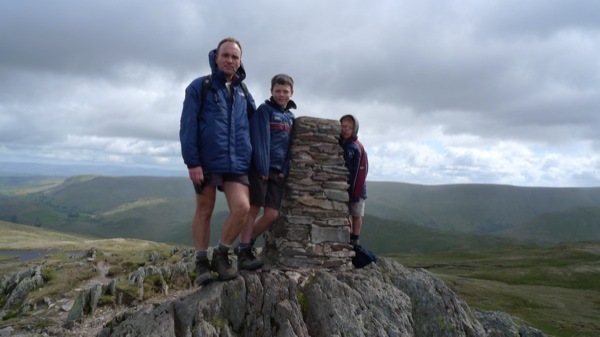 Place Fell holds a special affection for us as it's the first mountain climbed and trig point reached by us all as a family 25 years ago,todays visit was for the purpose of visiting the SOTA cache near the summit,a wonderful late summer walk. 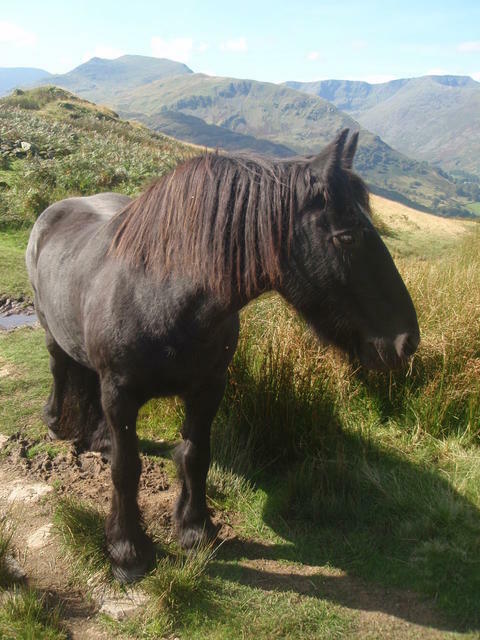 Fell Ponies at 2000 feet up Place Fell. 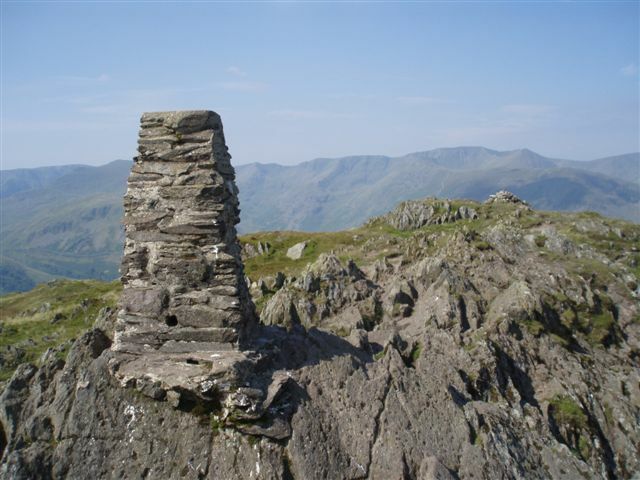 Took part in Orienteering event around Angletarn Pikes, start/finish up at Boredale Hause. 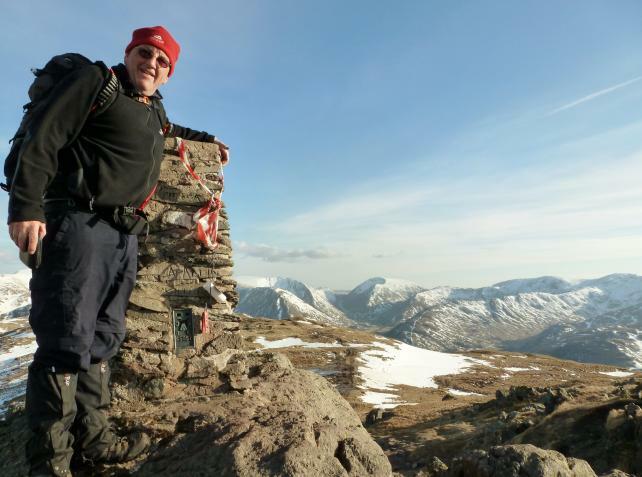 Pity to waste climb up from Patterdale. 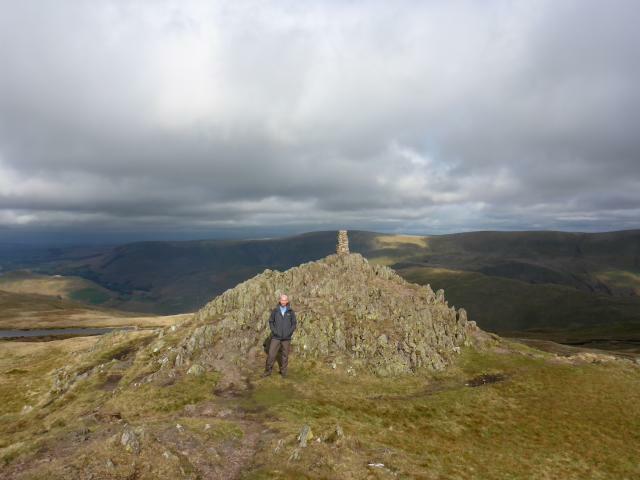 Sleet Fell, High Dodd, Place Fell then return to Garth Head, Boredale...cool and dampish. Very nice view after a tiring walk up from the campsite. GPSr said the exact same height as map. 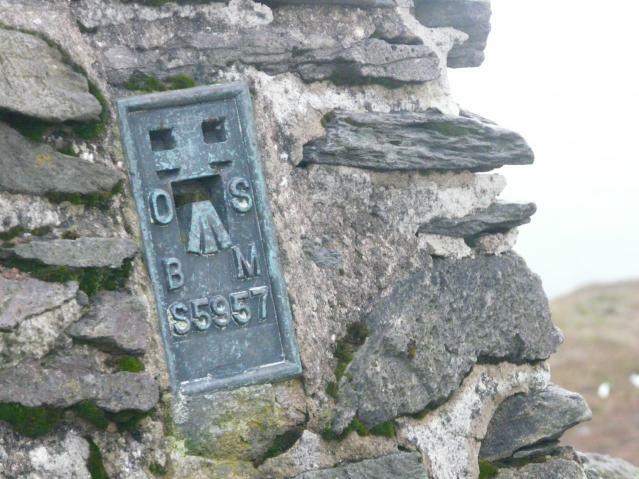 This trig is on one of the many walks we do each year whilst on holiday in Martindale Valley. A nice walk up from Howtown and on a weekend hardly saw anybody even though it was an ideal day for walking. 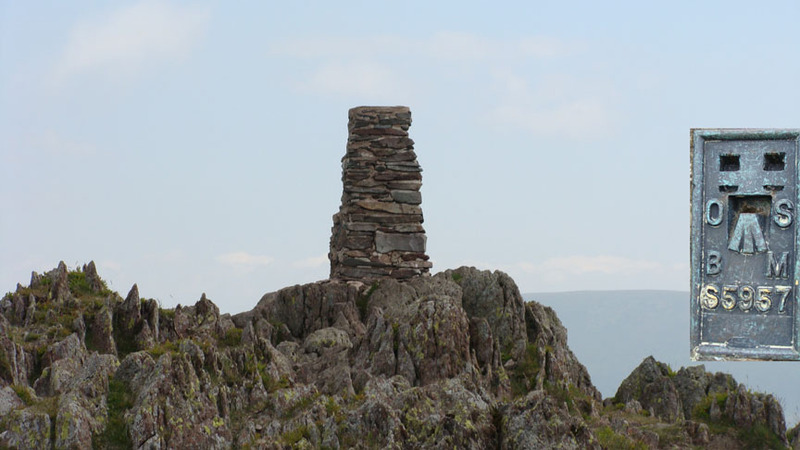 A proper stone built trig point. only visit was an overnighter! 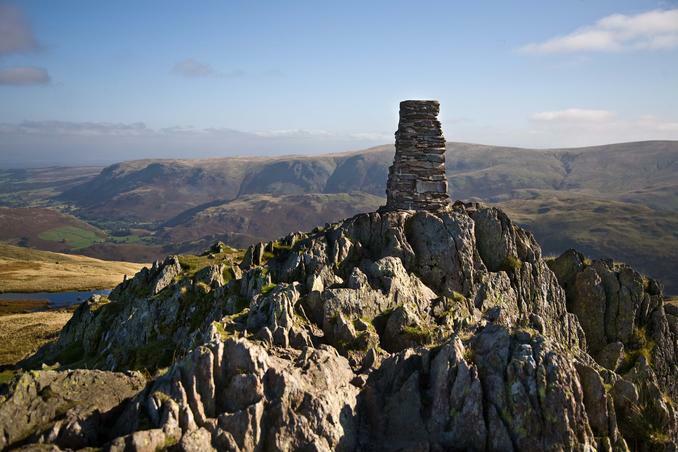 One of my favourit fells,and the first Lakes fell I climbed back in the early 70's.always a good walk. Latest visit - ferry to Howtown, up from Sandwick and down to Patterdale. The rake up from Side Farm campsite is more fun. 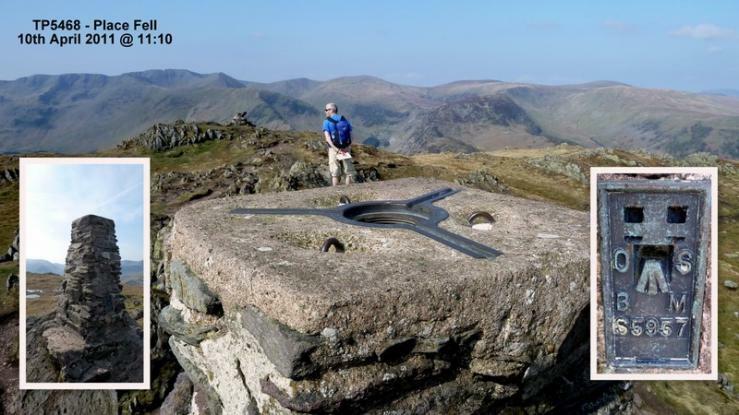 Retrospective Logging of this trig from when I reached this summit whilst doing the Wainwrights. 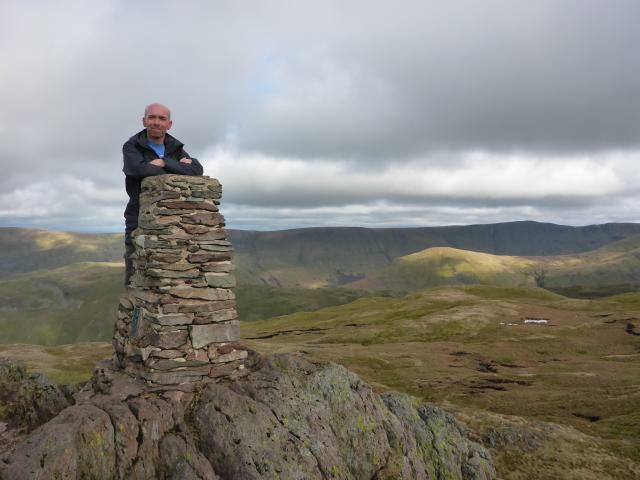 This was to have been my 214th and final wainwright on my 40th birthday. 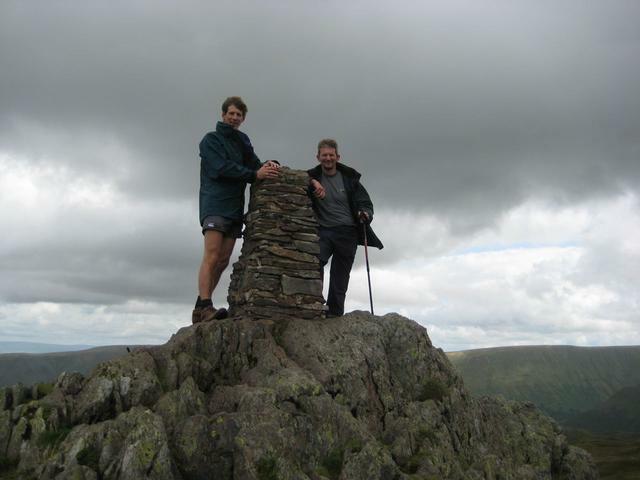 However foot and mouth had closed the Western fells (re-opened 1st Aug 2001), so I celebrated being 40 on Place Fell with champagne, then the following dayy completed the final 6 wainwrights! 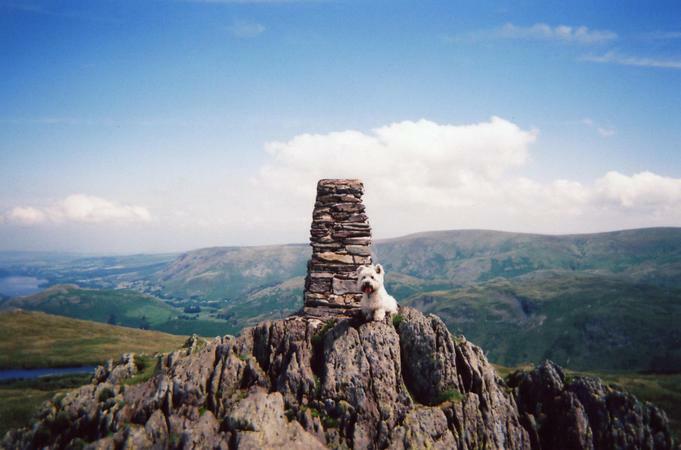 A single "Nuttall" summit walk. 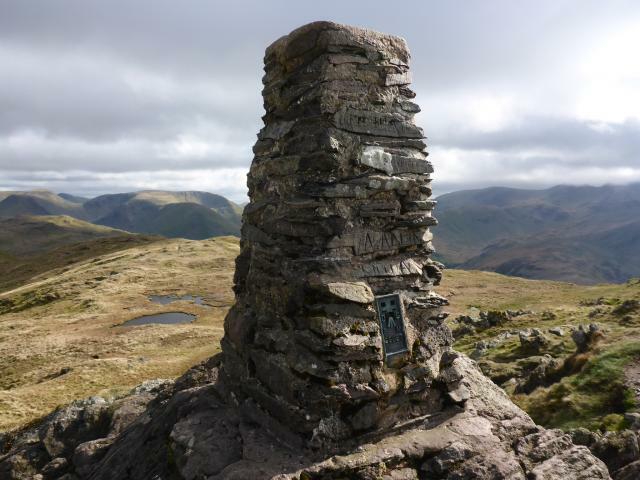 Visited during a Wainwright bagging walk from Patterdale. 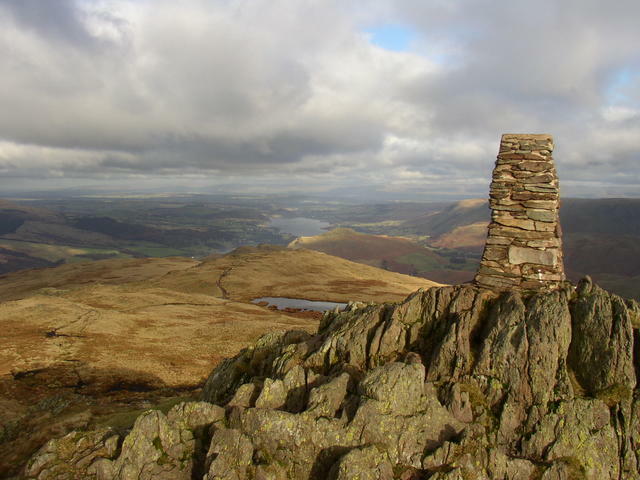 Climbed from Patterdale via Boredale Hause.Excellent views over Ullswater. 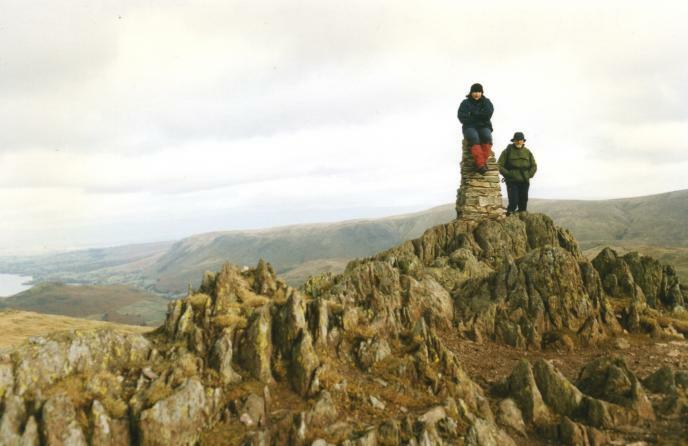 A great fell with great views. 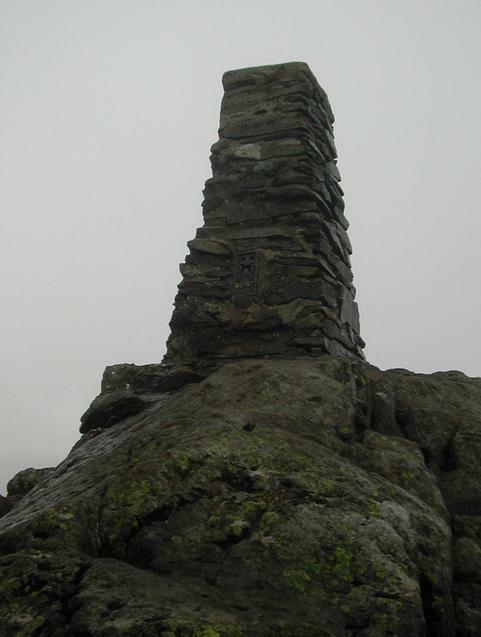 On this occasion rather dull-ly climbed to and from Boredale Hause. Spotted red squirrel on lake path around N side of fell. 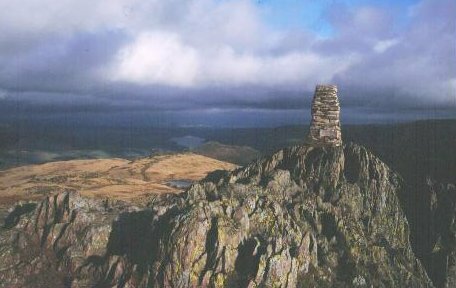 Westmorland. Climbed with my two daughters. 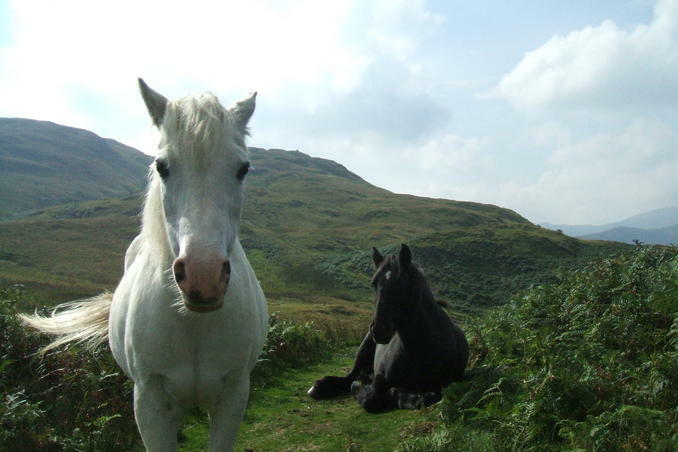 We parked at Sandwick, walked to Howtown and caught the ferry to Glenridding. 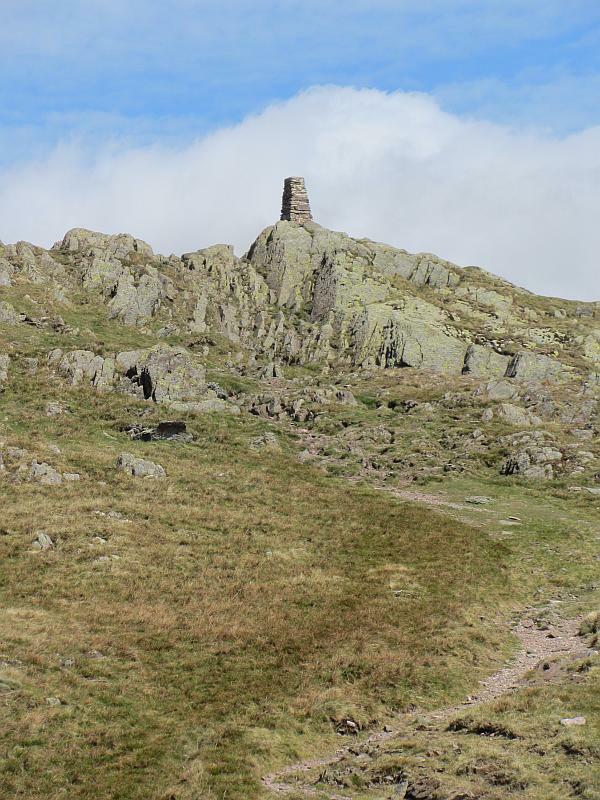 Returned to the car over Place Fell. It was a great day out in warm sunshine. 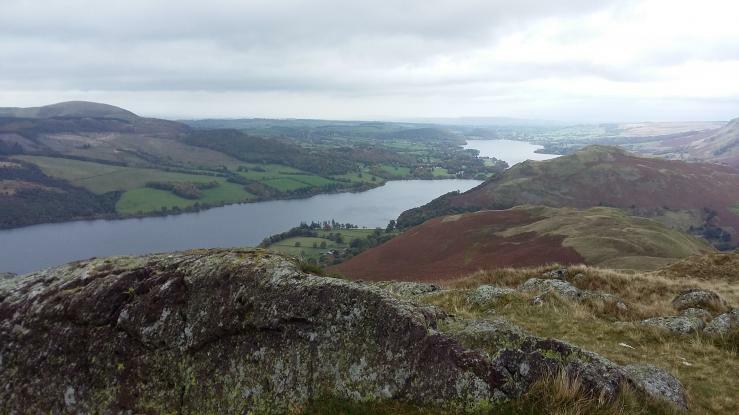 Dropped family on Ullswater ferry at Pooley Bridge, then drove to Rooking & legged it up & down in <1hr! Views simply awesome, especially to NE. 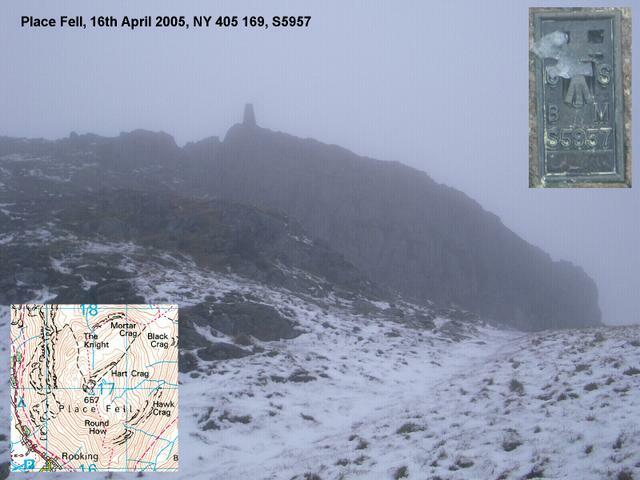 Pennines to E, dull views of Penrith area, Cloud down to 2,800' obscured NW, SW and S.